Selling Your Diamond Jewelry? Read this 5 Tips! Nowadays, as the economy continues to be erratic and inconsistent, people have learned to come up with alternative sources of income in case rainy days come splashing. Today, more and more people are learning how to sell things they do not use anymore. The emergence of easy-to-use e-commerce websites and mobile applications have fueled the resurgence of reselling pre-loved goods - thus allowing more people to sell some of their treasured trinkets for an easy buck. 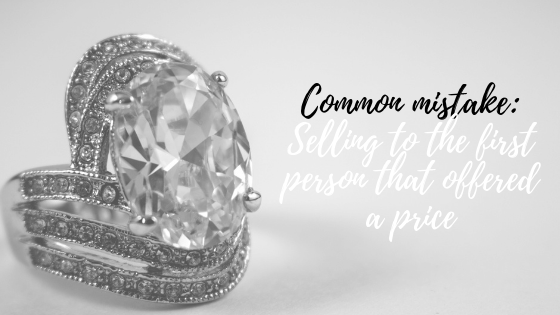 While it is easier for some people to sell secondhand items, some can actually go as far as selling expensive and sentimentally treasured items like diamond jewelry. Diamond continues to be one of the most expensive products today. Having one is like having a good investment with which you can easily turn to good money during tougher financial situations. While selling diamonds is easier today due to the plethora of options, it still requires a bit of work from the seller end before you can sell your diamonds. 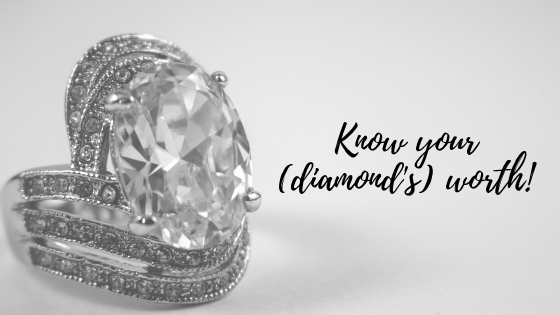 Sure diamonds are essentially beautiful and might already be worth quite a bit, but you can lose a considerable percentage from the appraisal if you just hand in your timeworn jewelry to a prospective buyer. Make sure that your stones are presentable before you hand them even have them appraised. 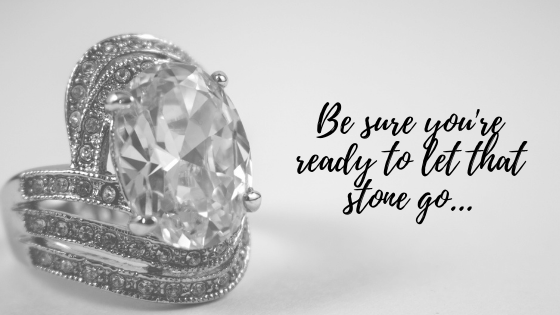 While jewelers or jewelry buyers focus on the authenticity of the gem and the overall artistry of the piece, a sparkly and good-looking piece gets an added advantage as it saves the jeweler cost and time in having the stone cleaned up before resale. Don't just head to the jeweler and have your jewelries appraised there before sale. Consult an expert first so you get an idea (and, frankly, a bit more know-how) on how much your jewelry is worth. Do not set an unrealistic expectation on your diamond because you might be disappointed later on. 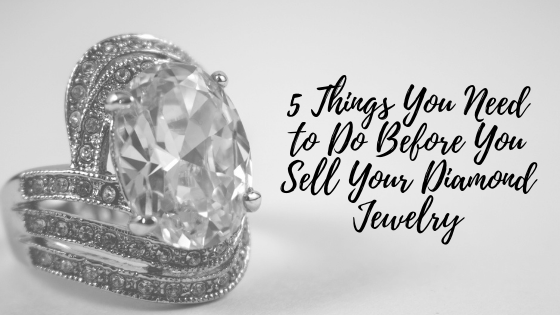 It pays to have someone else take a look at your jewelry so you know if your prospective buyer is giving you a fair deal or not. Do not sell to the first person that offers you a price. We have to reiterate that it is of utmost importance for you to do your research, more research, and some more research. Yes, you should! Look for reputable jewelers around and inquire to each of them for you to get an idea of how much your piece is worth. In doing this, you would also get a feel of how these jewelry buyers conduct their business and how much they would actually offer. In addition, customer reviews are your bestfriend! Check for reviews to make sure that you are dealing with a credible jeweler. Knowing your diamond's worth allows you to set realistic expectations. Oftentimes, you take into account the sentimental value behind your jewelry when - in reality - the jeweler will never take that into consideration. Jewelers are trained to be impartial in appraising jewelry since their business relies on the accuracy of their decisions. Remember: The offer that you will receive for your diamond will be based purely on authenticity and craftsmanship and whatever emotional value it has will NOT be considered. Do not be surprised if a family heirloom (made of a mediocre diamond) is offered at a much lower price. You might be laughing at this but this actually happens. There have been a lot of instances when sellers have actually backed out of a sale because they are not prepared to let their precious stones go. It's understandable from an empathetic point of view but, at the same time, don't you think you've wasted your time and the jewelers time by doing so? Before making the final decision to go to the jeweler's shop and sell your diamond, make sure you are emotionally ready to let go of it and everything that it stands for. Understandably, some jewelry pieces carry a much heftier emotional price than its actual monetary worth so be sure that you are ready to let it go. Considering the plethora of options you have out there - ready to appraise your gems and give you instant cash, many will find it easy to sell diamonds today. 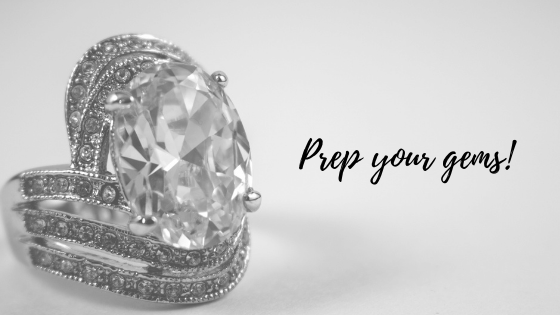 However, you need to prepare both yourself and your diamond before you proceed with the sale. Keep these tips in mind and make your visit with the jeweler both a pleasing and gratifying one. For more information about the value of your diamond, set up an appointment with Luriya today! Visit https://www.luriya.com/ for more information.